I was shocked before Christmas when I realized that was 15 years ago…stunner, time does fly so quickly. 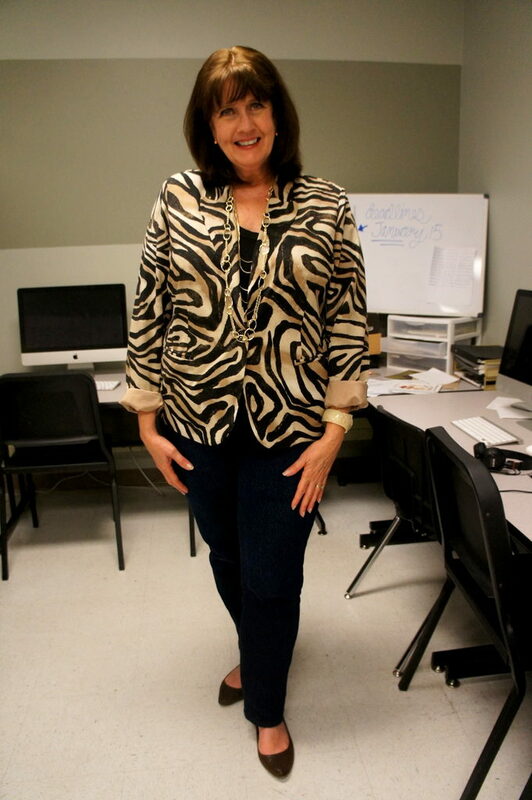 When I first made me over, I was teaching high school journalism and I had fun with the new me. I was encouraged by friends and students to take steps out of my comfort zone and my BFF, art teacher Gail, also loved creative clothing. She appeared on the blog often and we had so much fun. I began to develop the five adjectives at that time that I wanted to communicate with my clothing. I would later call these the Foundational Five. A series of events in 2015, forced me to decide (after 16 years) that it was time for me to leave teaching and return to corporate America. My first job was editor of a local women’s magazine. I decided at that time, I needed to be more professional, than creative, and began to tone down the creativity. (Taking off accessories rather than adding) We would attend women’s business luncheons where many were in suits and dresses, so I began to go the business route. I began a new routine of rising at 4:05, going to the gym from 5-6, and then quickly dressing and running to join the throngs of people in morning traffic. This is where my grab n go bad habits with my clothing began. I still looked nice, but did not take the time as I had done before when teaching. We did not live far from the school, and I never knew traffic while there. Another series of events, and I chose to leave the magazine (too much stress too little pay) and join the management team of a major public university on their communications staff. Way, way more traffic…perhaps he highest traffic hub in the seventh largest city of the country. So, grab n go amped up. I have almost been here a year, and for this first year I have really chosen to go the professional route most of the time, but after evaluation, I do not think I need to do that. As I left teaching and entered this new professional life (which I left in my 30s), I began to compare myself more to others. As a teacher and when the blog was new, I had accepted my body and was dressing it for slimming, rather than hiding it. But, in the professional world where the pressure and comparisons run rampant, I began to hide it more often. Also, I toned down my creativity rather than ramp it up. I miss the woman once called the Accessory Lady by readers, and the Scarf Lady by students. One advantage to blogging is that I have tons of pictures to look over and evaluate….not everything hits the blog. There were many grab n go days that are super boring….and there are some (though far less) which are over the top, trying too hard creativity. It has been good to reflect where I was, where I went to, and at age 65+ where I want to be. I know my style and my likes and dislikes…perhaps better than most. But, it takes time and those looks must be put together before 5AM. I know how to dress my body in flattering ways and just need to return to the courage to do it. My desire is still the same…I want each day whether Monday or Saturday to be an experience, an occasion. I want to dress in ways that put confidence and a smile on my face and help me to enjoy completely that day and time I have been blessed with. I want to feel and look my very best whether running errands or attending a meeting. 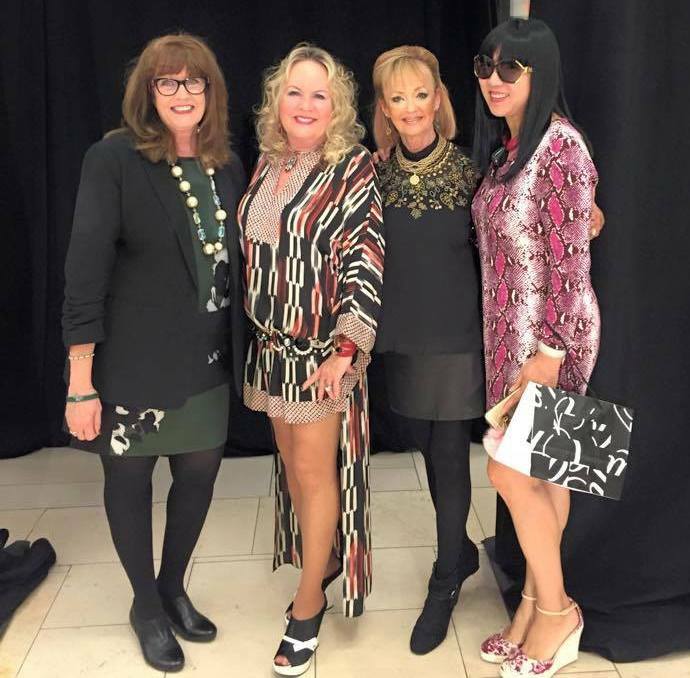 I want to return to the fun I was having with fashion when I was teaching and shopping with my friend Gail.  This attitude and declaration are what keep me “feeling 40” and smiling on. Above all, I want to enjoy this time of life as ME…no more comparisons and trying to be like the other professional ladies. Back to being me with no fears of standing out! My new refresh has included a change with my hair…which I am loving. It also includes time to think through what I want to wear each day, more fun with accessories, and no hiding. I also am reviewing all I learned from What Not To Wear in the beginning. Stacy and Clinton taught me so much and I was quick to apply it 15 years ago. 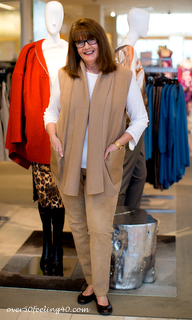 The recent Ming Wang posts reflected my desire to add some fun, chic, pieces into my wardrobe. There is more ahead. I hope my office is ready…I am returning to the more creative Pam, and the less corporate one!! The outfit I am wearing at the top of the page was styled with this new direction in mind. (I guess it is actually returning to my old direction!) This is a spring transition look with a bold statement necklace from Chico’s. Everything is 40% off at Chico’s right now (45% off for Passport Members)… I have some options in the slide show below. 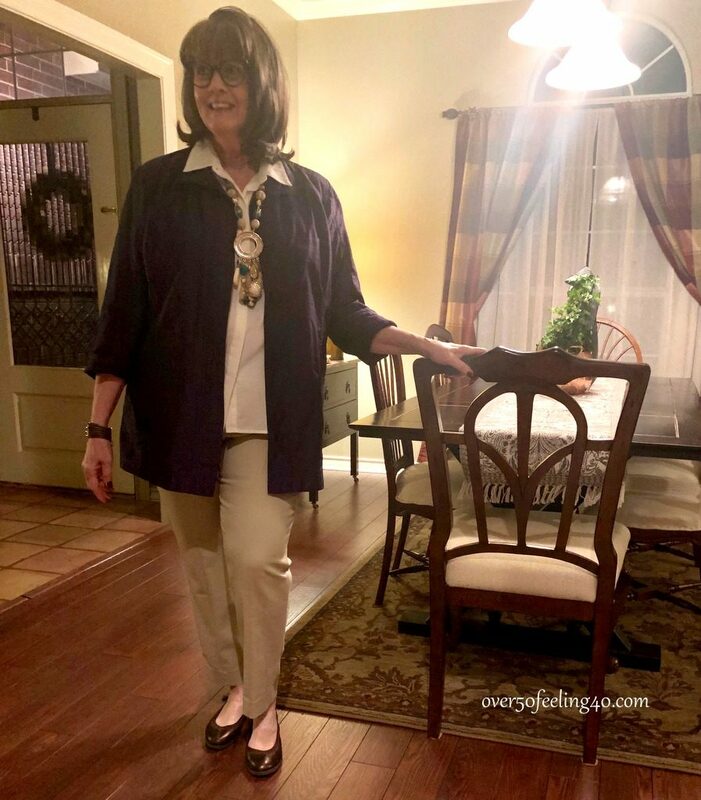 My purple silk topper, cream blouse and, necklace are all from Chico’s past and present. The khaki pants are JJill. 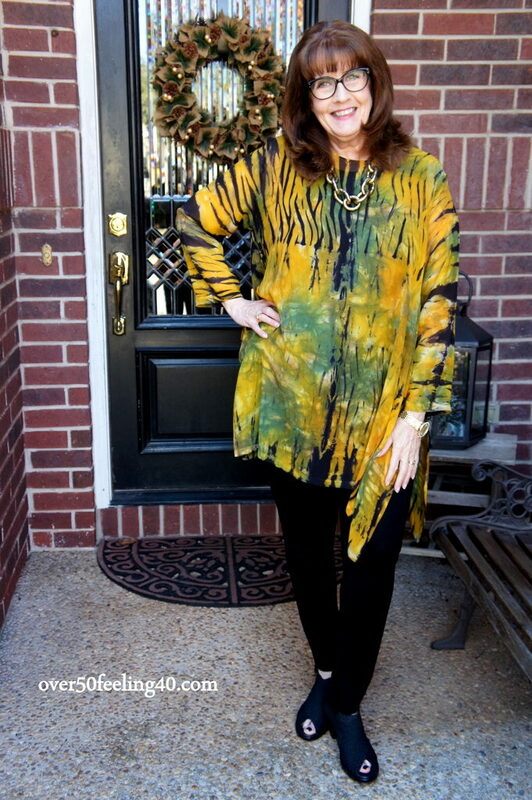 The necklace I am wearing is the first one in the slide show…love the green color with the khaki pants! Has anyone else re-evaluated your clothing lately? What did you learn about yourself in the process?? STAY TUNED AND KEEP SMILING!! I would be interested in reading your story recreating yourself. I so enjoy your blog as a 62ish wife mom grandmother and daughter. Former nurse working in office and from home. I will send it this evening, Pat. Thanks for being here. I really enjoyed this post. It’s a reflective journey. I have not noticed your “grab and go” style, you always look so put together! It seems your recent illness gave you an opportunity to consider many things, and you used the time productively. When I retired recently, I abandoned my weekly practice of planning outfits for each day, something I did on Sunday afternoons for many years. I think letting that go was like putting something behind me, thinking I was being more carefree. After reading this, what I see is how I have fallen into “grab and go” mode, and it hasn’t ever felt quite right. I’m going to sit down this Sunday with my planner and my clothing notebook and go back to planning for what to wear each day. It’s interesting that it takes me longer to choose what to wear now than it did when I was working. 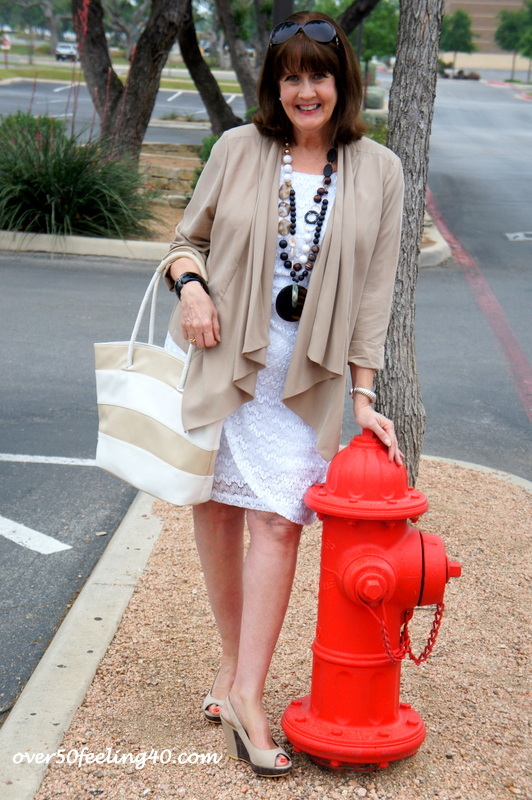 Also want to mention that I have always liked the picture of you by the red fire hydrant! I remember seeing it through the years from time to time, and it points out timeless style so well! Not to mention those gorgeous shoes…!! Thank you for the inspiration you give. I’m going back to something that I should have never abandoned, something that works for me. Style is important no matter where we are in life, as you so aptly point out! I am so glad this helped Karen! If I ever do retire, I need to remember to do the same!! Hi Pam, I think we’re on the same wavelength today! I love that short asymmetrical jacket in the second image, and the tie dye top is such fun! Here’s to keeping the reinvention going! I am with you Susan!! Let’s keep things fresh and fun! Happy Weekend! Hi Pam, I would be interested in receiving the email mentioned. Thank you. As Karen stated, I also abandoned planning when I retired. I worked in the financial world and although always professionally appropriate my wardrobe was understated. Very easy to grab and go. Now I find I am struggling as my lifestyle is much more laid back. I am finding it difficult to put together a casual wardrobe that works for me and how I want to present myself. I always enjoy your posts Pam. I think your taste in fashion is much like mine. I believe I can help Ann and I hope I do. I will email the document when home this evening. I am so glad you are here!! 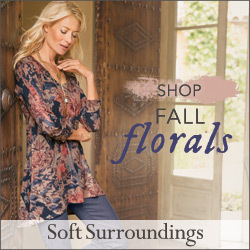 You look amazing in all of these wonderful tops– colorful, artsy, really stunning on you. (Almost don’t see what slack or skirt you’re wearing. Between the accents/ jewelry and your gorgeous hair and smile, this collection says WOW! Thanks so much Paulette! I hope to return to that type of styling!! Hi Renee…I will send it to you this evening! Thanks for being here! Hello! I would very much like to read about your re-invention! I enjoy your writing!!! Will send this evening, Cindy! Thanks for the kind words! These photos are refreshing. You look immensely happy. I’m at a style and lifestyle crossroad and would love to read it. Thank you for the offer to share. You are so welcome Anne…I will send this evening! Will send tonight, Jeanine. Thanks so much! I am very interested in reading your “8 steps to reinvented style”. It sounds very interesting. I really enjoy your blog. I am happy to hear you are returning to your authentic self and I look forward to seeing your outfits! Thanks Lisa…will send this evening!! 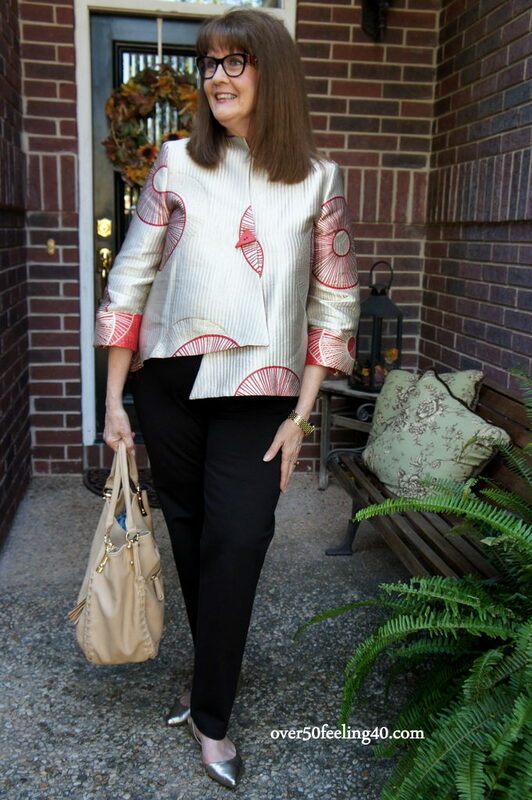 Thanks Pam, I love reading your blog and definitely think the more artsy style fits you and your personality, color also is more flattering to you than more somber colors. Thanks for your honesty and the desire to never stand still. I would love a copy of the article when you get a chance. Never want to stand still, GAIL! Will send this evening!! I’m a newcomer to your and Jennifer’s blogs and love you both! I enjoy reading the daily postings and truly appreciate the creative and practical advice. I’d live to receive the 8 Steps PDF as well. Thanks!! Thanks for being here! Will send this evening…let me know if you have questions!! I absolutely love all of the looks in today’s blog. Much more fun and youthful outfits. You are only as old as you feel…or so they say. And I am feeling younger all the time!! Thanks so much J’Laine!! Hello, I would love to read your 8 steps to reinvention. I am like many of the other ladies, I am retired and am struggling with what to wear. Hi Cynthia, I will send them out this evening! Please add me to the list of readers who would love that article. I do enjoy your blog very much. Thank you. Happy to send it to you this evening, Jill. Thanks for being here!! I would love to read your 8 steps to reinvention. I need all of the help I can get! Thanks! Thank you Pam… will send it out this evening! Happy Friday! Pam, todays blog is your best. Your self reflection seems to have sent you to a 180 degree and I love it. You look so fresh and happy in all the pics. Just goes to show no matter what we see or read in fashion we all need to follow our bliss and we know deep inside what it is. Bravo to you! You bring out so much in all of us. Thank you. Thank you, Judy!! I appreciate the encouragement so much! There is definitely a pattern here. So many of us are interested in being our best selves, and you seem to have figured out the ways to do that. I love seeing you in more color and creative looks. Life is too short to be dull and uninteresting! I’d welcome a chance to read your 8 Steps. Yes to life is too short to be dull and uninteresting!! Thanks DOROTHY.. will send it out tonight!! Will send it tonight Cindy! Thanks for asking! Would love to receive the email you mentioned. I’m 75, retired, a widow and live alone but have lots of fun. I live in an over 55 community and everything here is very casual. So I live in nice jeans and leggings and casual tops. Any suggestions…while I love your blog and and your choice of clothes for you and I’m stumped how to look nice but casual in my sort of environment. Would love any suggestions. Many thanks and keep up your blog. I love it and look forward to reading every day. Thanks Judy…will send it out this evening! Thanks for being here! I am just completely retired from the world of education. I think not working is allowing me to be careless about what I wear, i also find that others around me look down at caring and thinking about what one wears …hopefully this post reminds me to be what I want to be dispite the ways others around me feel. I hope so, Patricia! I am going to write more about this next week. Thanks for being here! As usual, great post. Thank you for your honesty…I know it helps us all to hear about your journey. I do believe I requested the 8 steps in the past, but just can’t seem to locate it. If it’s not too much trouble, could you send it to me again? No problem at all, Linda. Will send this evening! Thanks for the support. I would be interested in your 8 steps to reinvented style. Really enjoy your posts! Thank you, Paula … will send this evening! Thanks for being here! I would love to hear your story Pamela, I love that oriental jacket you’re wearing in the first pic. I love that jacket too! It was by IC Collection from Dillard’s! Thanks so much… I will send the PDF this evening! I would love a copy of your reinvention story. I enjoy fashion, and your blog gives me inspiration not only for putting outfits together, but also for pursuing a healthy and grounded lifestyle. I made a decision to refrain from buying any clothes during the 40 days of Lent. This will give me a “time-out” to evaluate and purge/donate my clothing supply. Since I am a “fashionista”, I have been tempted, but I will remain strong. I encourage you to be strong, Susan. Use this time for self evaluation and consider how you want to look going forward. Read the PDF I send tonight and ponder buying decisions going forward. I am so glad you are here! This is you at your finest, Pam! 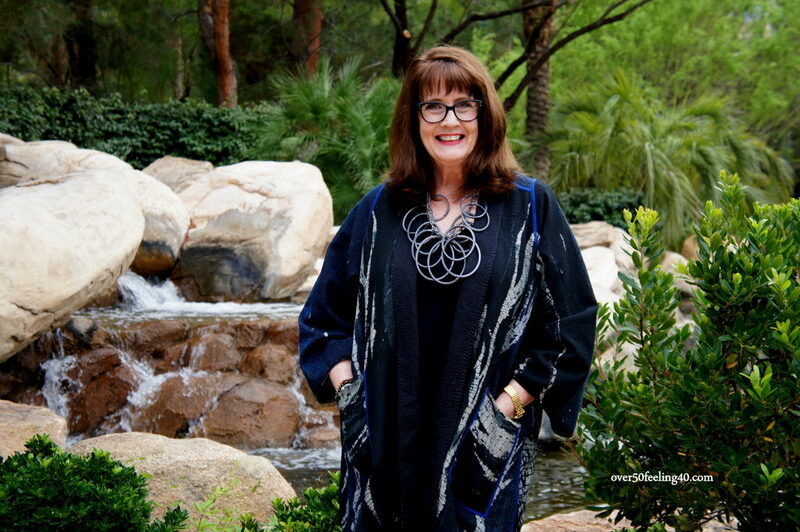 When I first discovered your blog, I was newly retired & searching for my new style identity. Your guidance was so valuable. I have been a work in process & likely always will be because life keeps changing. I can say that I am more comfortable with myself than I ever have been. Lets all journey on together. I love being on this journey with you Becky!! Thank you so much! Hi, Pam. I very much enjoyed this post. Is there a way you could just repost the link to your reinvention video to your blog since so many of your followers have requested it? get busy doing that soon. Thanks for idea. 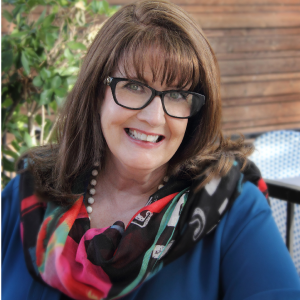 Pam, your Blog has been such a help and inspiration to me. A downsizing, moving to a smaller town, etc. Almost giving up on style, not to mention a huge birthday coming up. Learning to just go with the flow. Picture #2 is one of my all time favourites, I absolutely love the jacket. And you wear it so well. Thanks for the continuing journey. Thank you for being here and for always sharing, Eleni….I love that jacket too! Thank you…happy to send it to you! I so hope you are in remission, Dana. I know looking your best each day can help with attitude and joy. Keep us posted on your progress. 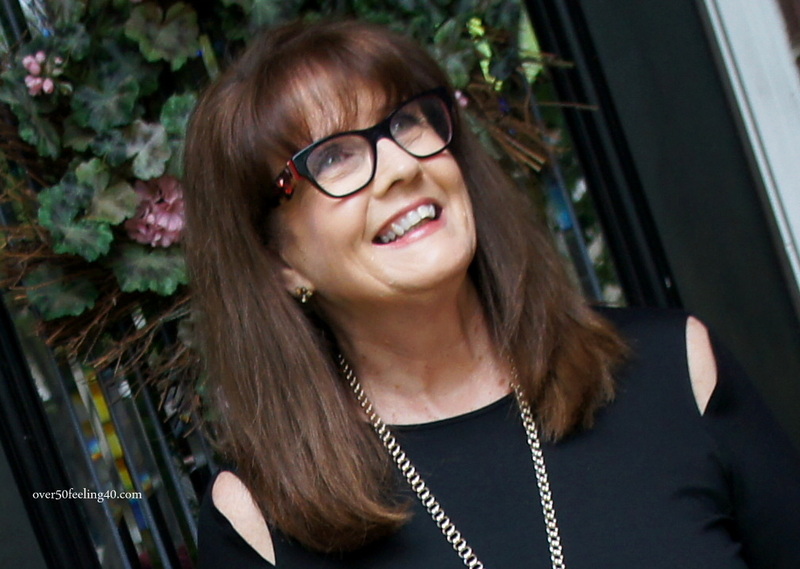 What a difference, Pam, you look so refreshed and colourful in your lovely outfits, this must be the real you, I’m so looking forward to reading your next posts. You’re a very wise person, taking stock of a situation and deciding to make adjustments, and very honest too. I really admire you. Thank you, Gillian…we all walk the same roads just in different circumstances and I truly hope the things I learn and experience will help and inspire others. Just sent it your way, Anita. Thanks so much. This is such a fun post,Pamela; love seeing all your various images and it appears the more creative you look, the larger your smile! Please add me to the Reinvent post, too. P.S. Weren’t Stacy & Clinton (TLC’s “What Not To Wear”) just the BEST; what a fabulous team they were and how much good they did for those lucky enough to have been chosen to come to NYC and allow the rest of us to watch & learn. I learned so much from them, Marlene. It was a great, helpful show. The document will be your way soon. I hope this all helps, Mary . I am really thinking through ways I can begin to directly address those of you in retirement. The document will be on its way soon. YES! Mum is right …you can dress to minimize and hopefully soon you will step into her place. I will do a slimming post sometime this month. Watch for it and this document will be on its way to you soon. Thanks so much, Suzanne. Hi Pam, I would love a copy of the 8 reinvention steps, I recently lost 70 lbs and am struggling with style and recognizing my new body. I discovered (and love)your blog as I was researching and trying (still am) to figure out my new style. Betty…you are my hero! 70 pounds?? Congratulations! You are an inspiration. The document will be on its way to you soon. I love your blog and I would like to read about your 8 Steps to Reinvented Style. Thank you, Ginny. I will send it to you! Hello…great that you have reached out to so many women…I would love to read your 8 step ideas…thank you. Hi Nancy, I have sent the document your way and thanks for being here! I love your Creative Style – it really suits you! Pam I would love to read your 8 steps to reinvention. I am like many of the other ladies, I am retired Although I am still teaching I am struggling with what to wear mostly because I am bored. And you’re right. Sometimes it is so easy to just wear what you are used to. No muss, no fuss. Just sent it your way, Letitia. Thanks so much! Hi Pam, I so enjoy reading your blog. Since retiring from teaching 2 years ago, I have struggled with what to wear. I feel I have become quite sloppy in my dress. I would very much appreciate your 8 steps to reinvention. I also love Chico’s, especially the jewelry. Several of the Chico’s in my area have closed and the one store still open is an hour drive for me. I think the various store closings is a sign of the times. I really hate it as I am a “touchy feels” type of person! Thank you for your informative blog! Wow…we have not had any Chico’s closing…hope that doesn’t happen. I am like you, Melissa, I need to touch it as well. I hope the 8 Steps will help to get you thinking about what you want your retirement wardrobe to say about you! I will send it soon. Thanks for being here. I received your 8 steps and am most appreciative! Like so many others, I would be interested to see your PDF about the 8 Steps to reinventing your style. As the retirement transition is starting to come into sight, I’m musing about my clothing choices these days. I will send it in a few minutes, Barb…Hope it helps! Could you please send me – again – your 8 step reinvention! I inadvertently deleted your first email! I enjoy your blog so much and have needed this positive information! Thank you! You are so welcome Nikki…happy to send again and will do so in a few minutes. This article should be titled “Pamela 3.0” in honor of your 2nd RE-Invention! I love the tone and attitude – the sheer JOY in your words and pictures! That SMILE says it all! I surely do wish you were in MY office – As well as being the OLDEST in my office, I am the only female my age (the other female is a 23 year old who is sweet but my total opposite in style and attitude). What fun we could have – I could learn so much from being with you and would LOVE to take you shopping and out to lunch! I plan to retire in a few years, so you are my inspiration to keep current, informed and involved! Blessings! Oh how I wished we worked together as well!! We would have fun!! Thanks for the support and let’s keep having fun!! Pam, in looking through those “through the years” posts, I think you should rejoice in the fact that you have somehow found the crossroads between timeless and fabulous. No mean feat! My fave look is the fire hydrant pic because of the interesting way you combined textures. One thing I find helpful to stop the “oh-who-cares-grab-anything” mentality is to put out your clothes – including accessories and shoes – the night before. Of course you are “allowed” to change your mind the next day, but at least your grab and go will be an interesting, thoughtful mix. Every night when returning from work, I hang or put my clothes into the hamper. If something can be worn again without laundering, I steam it before I put it away so it’s ready to be worn, or of it needs mending I put it by my chair to take care of that (too many nice clothes used to languish because they lacked a button or were too wrinkled). It takes some discipline when you’re tired, but soon it becomes a habit. Thanks for sharing! I love to hear how others make a fast paced life work. Appreciate the idea!